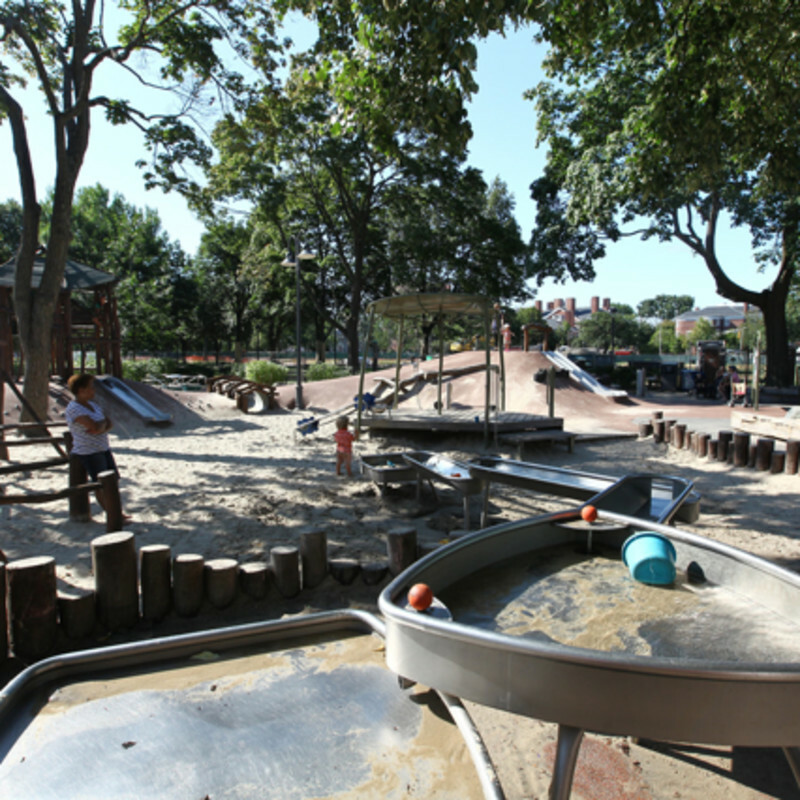 This playground, located at Cambridge Common, builds on the theory that playgrounds are places for children to learn about themselves and the world surrounding them. To this end, the environment at the Alexander W. Kemp Playground is fully immersive. Slides are embedded into hills, the playground is made up of hills, valley, stumps, and sand. Children can build with loose blocks, use a crank to manipulate water, and explore challenges that focus on strength and fitness. By exercising their bodies and their minds, children at this playground will have a better sense of themselves and their environment.